Just wondering will the 428 CJ exhaust manifolds work instead of the 390 GT exhaust manifolds in a 66 Cyclone. I'm fairly certain they will just wondering if anyone has done it. What Pop asked. The front and rear bolts on the GT heads are about 3/8" lower than the rest across the top. I don't think CJ heads are. And do yourself a favor. Sell the manifolds and pay Stan at FPA for his custom Tri-wye headers. The best $900 you'll spend on your car. Thanks for the info, I always assumed the CJ exhaust would work on the GT or Edelbrock heads. Picked the up years ago just never did the research. Sorry it took me a bit to reply as I've just found a matching 66 Cyclone convertible, but in emberglow, may add to my fleet. Tried to add pic but too big!! ENOLCYC wrote: Just wondering will the 428 CJ exhaust manifolds work instead of the 390 GT exhaust manifolds in a 66 Cyclone. 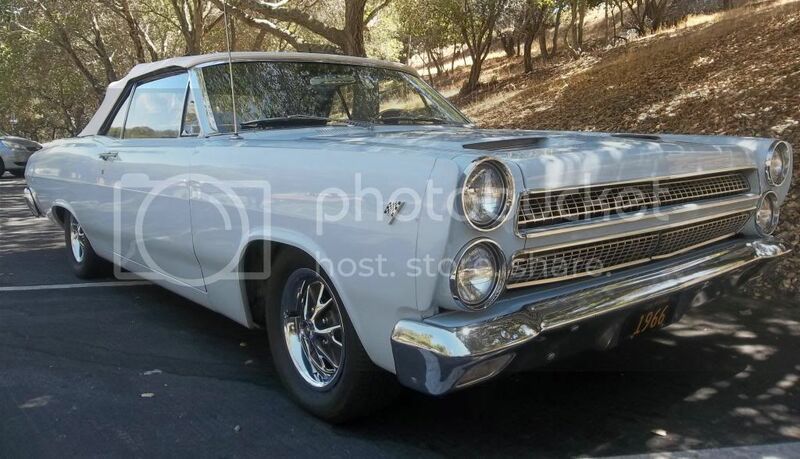 There was a 66 GT that came up on eBay that looked promising. No motor or trans but said it had the orig glass hood,very little rust. Was getting ready to bid as it opened for 4 grand but the listing ended as fast as it started,probably sold off line. im not sure, i have forgotten alot over the years but the reason the gt heads and cj heads have 14 and 16 bolt holes is so they will work with either bolt pattern side to side or top and bottom,those cj manifolds may fit the side to side bolt pattern but like Stacey said the front and back top bolts are lowered on gt heads.you dont have to use all 14 or 16 bolts.top and bottom will work and side to side will work.i use to try and get all 16 bolts in my cj heads but with a good set of headers or manifolds either pattern is ok.